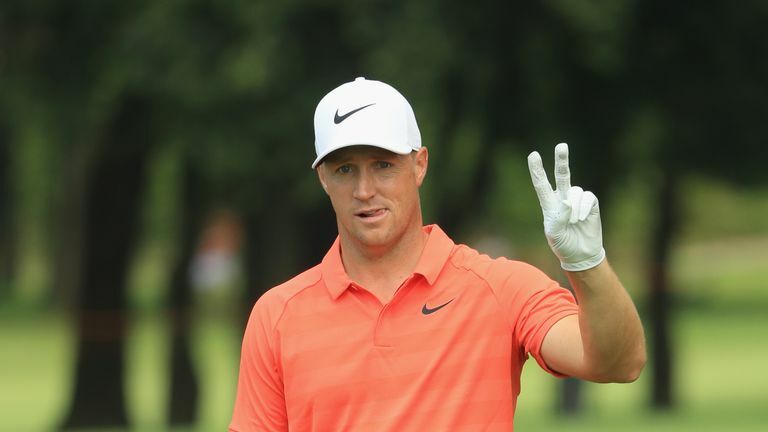 Alex Noren lit up the Hero World Challenge with a stunning hole-in-one on day three during a remarkable final five holes; birdie, eagle, triple-bogey, hole-in-one, birdie! Alex Noren recorded only the second hole-in-one in the history of the Hero World Challenge during an astonishing run of holes towards the end of his third round. Noren was two over for the day before setting up his first birdie when he came within inches of an ace at the 12th, and he then followed another gain at 14 with an eagle at the 15th to climb to eight under for the week. The Swede then suffered a big setback when he ran up a triple-bogey seven at the 16th, but his response was absolutely perfect as he took dead aim at the pin on the 181-yard penultimate hole. The world No 18 sent a pure nine-iron on the ideal line, and his ball pitched three feet short of the hole before hopping into the cup for the first hole-in-one in this event since Jordan Spieth aced the second en route to victory in 2015. And the European Ryder Cup star capped a remarkable closing stretch with another birdie at the last to return the most entertaining two-under 70 of his career.